Not all horror films need some supernatural or paranormal element to them. In fact, some of the genre’s best efforts have been the most simple ones, with a grounded threat that feels real and believable. No one knows that better than John Carpenter, who struck gold with Halloween, one of the greatest horror movies of all-time. It needs no introduction at this point and as you’ve surely heard, Danny McBride and David Gordon Green will be rebooting the property with plans to release their film in 2018. Thankfully, they’ll be doing away with all the nonsense that’s transformed Halloween into a bit of a joke in recent years. Apparently, the plan is to simply go back to basics and strip away everything that’s made the franchise so bloated – namely, the supernatural elements. It’s an approach that’s now spilled over into the movie’s marketing, too, as the poster above proves. 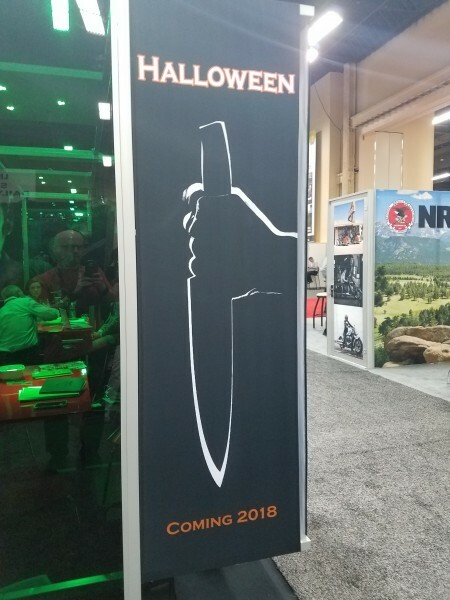 First spotted at the annual Licensing Expo by the good folks over at Collider, it’s a simple yet effective one-sheet. 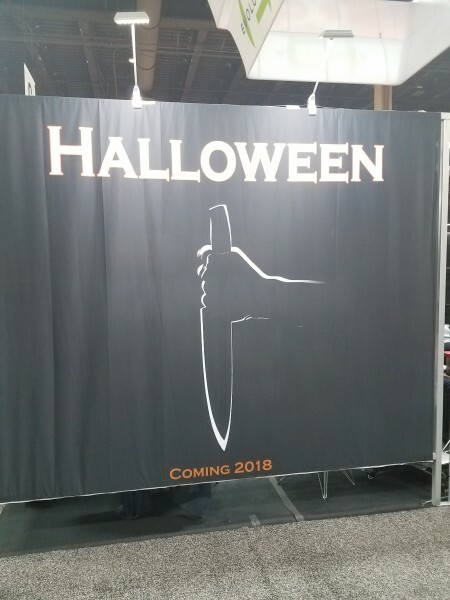 Granted, the reboot hasn’t even begun filming yet and it’s not like they’d really be able to show us very much anyways, but the minimalist approach that’s on display here works well, with a nice nod to Carpenter’s original and an intriguing enough design to draw in even those who may not be familiar with the franchise. That’s just our opinion, though. Take a look at the first Halloween poster for yourself up in the gallery above and feel free to drop your thoughts in the usual place.